What do you think of when you think of October? Well, if you are like the majority of us you think about Halloween. Halloween is a wonderful holiday where children run amuck in costumes raiding their neighborhood of its candy supply. It’s also a time when perfectly normal people pay money to have the crap scared out of them. For some people, being terrorized is the ultimate form of fun. If you consider yourself a fan of the frightening read on. There are a multitude of venues surrounding the Triton College campus that will meet that need. Next up we have Statesville Haunted Prison. I don’t know about you but the idea of roaming a prison at night is enough to scare me. Located at 17250 S. Weber Road in Crest Hill, Illinois this haunted prison has thirty maximum-security cells in which you will encounter 200 of the “most dangerous monsters ever imprisoned. For information on how to get the Statesville Haunted Prison go to their website at http://www.statesville.org/main.php. A list of asylums would not be complete without a basement filled with dead people. 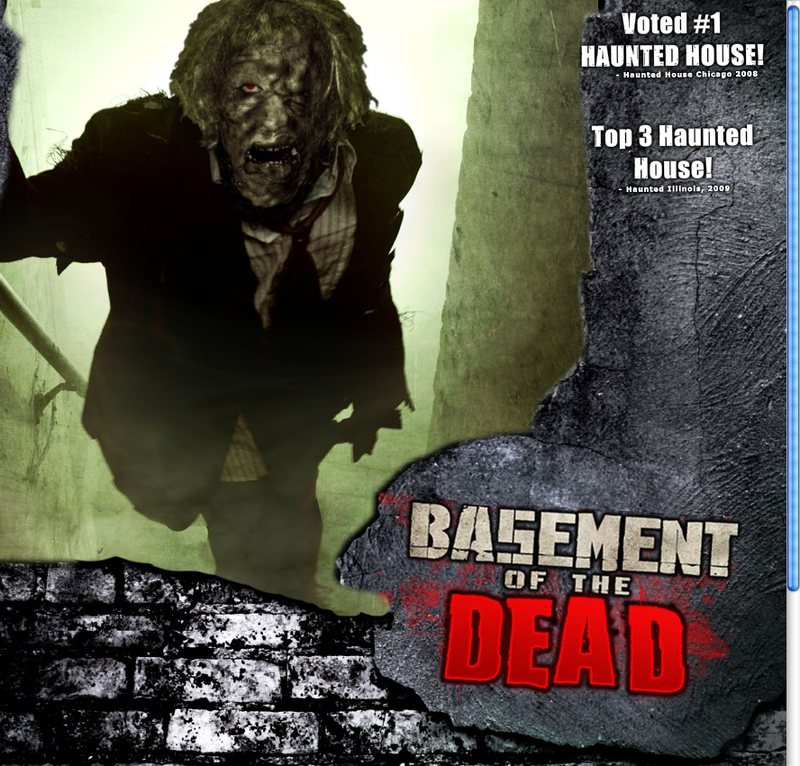 The Basement of the Dead at 42 West New York Street in Aurora Illinois has a back-story. In the late 1920’s Walker Laundry opened at this location. In 1964, the boiler exploded even though two workers had been continually complaining to management that it needed to be replaced. Those two workers were maimed and scalded in the explosion and now they are out to seek revenge. BWAHAHAHAHAHAH!!!! If you want to see the scarred remains of Al and Imus check out the Basement of the Dead’s website at http://42fear.com/main.htm. In Elk Grove Village the Eleventh Hour calls for people to experience fear. Eleventh hour has been voted the #1 Haunted House and #1 Halloween Even in Illinois by the visitors of HauntedIllinois.com. Located at 434 East Devon Ave., also known as Berthold’s Garden Center, Eleventh Hour hosts 4 houses titled Eleventh Hour, Creatures of The Corn, The Catacombs and Intensity (with chain reaction). For more information on this feast of fear visit their website http://www.eleventhhour.info/. If you’re into more of a “home-made” haunt, the CarnEVIL Of Chaos is hosted by the Brookfield Jaycees, which is the Untied States Junior Chamber. Don’t let the word “home-made” fool you though. The Northeast Region and Illinois Jaycees awarded the Brookfield chapter with 2010’s James Lesch Memorial Award for “The Outstanding Scariest Haunted House” prize. And this award winning house is the least expensive I found. At only $7 a ticket the CarnEVIL of Chaos will freak out an entire family but won’t murder your bank account. Directions and other information can be found via their website http://www.brookfieldjaycees.com/. The prices of the above places vary considerably. The Basement of The Dead offers a $2 online coupon while the Haunted Mansion and Asylum offers student discounts. The larger ones also offer group rates. Space limited this writer’s ability to all the haunted houses offered in Illinois so I tried to keep it to the most local. Yet, I’m sure there are more local places out there. If you’ve been these scare factories already and are looking for something new or if you would like to take a little road trip and hit a haunt in the country check out this website http://www.HauntedHouse.com/. By clicking on the map you will be directed to a grand directory of haunts throughout our state. If you feel I’ve missed a great house or just have something to say about the one’s that I’ve listed email me at hauntedhouses_5thave@yahoo.com and I’ll have them posted on our new website under this article. Excellent articles. I love the new look of the Fifth Avenue Journal !